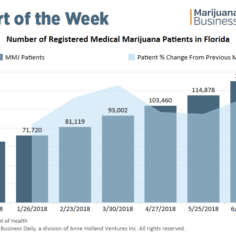 Florida’s medical cannabis industry is already growing at a brisk pace, and changes to the program could accelerate growth even further. 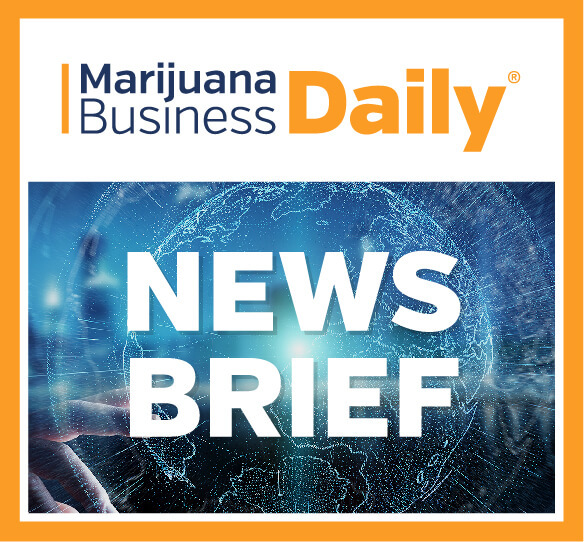 The agency that regulates pharmacies in Canada’s largest province dropped its opposition to the distribution of medical cannabis in drug stores this month, removing a key hurdle that will ultimately lead to a much larger accessible market for MMJ. 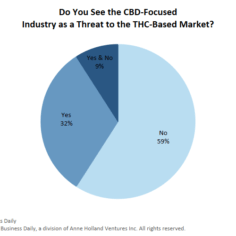 Is CBD a threat to THC-focused marijuana companies? 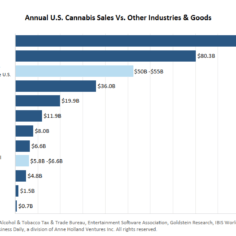 The growing mainstream appeal of CBD has some cannabis business owners concerned that CBD is a threat to the THC-reliant marijuana market. 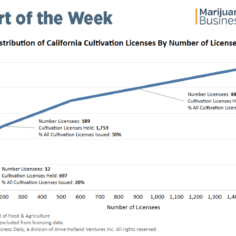 Commercial-scale cultivation operations are beginning to emerge in California’s newly legal marijuana industry, despite regulations meant to curtail their presence, with 20% of cultivation licenses held by just 12 licensees. 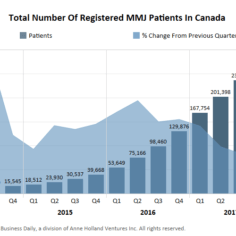 The number of applicants to cultivate cannabis in Canada rose 160% in the first quarter of 2018, as the industry ramps up for legalization late this summer. 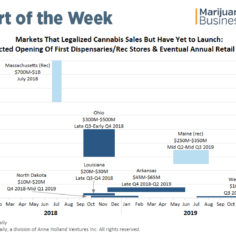 But the newest applicants aren’t expected to have product on store shelves until 2019 at the earliest because of the time required to get a sales license. 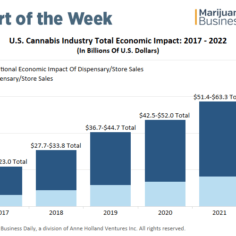 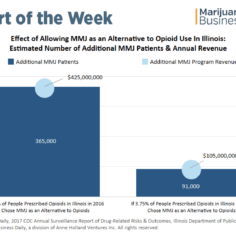 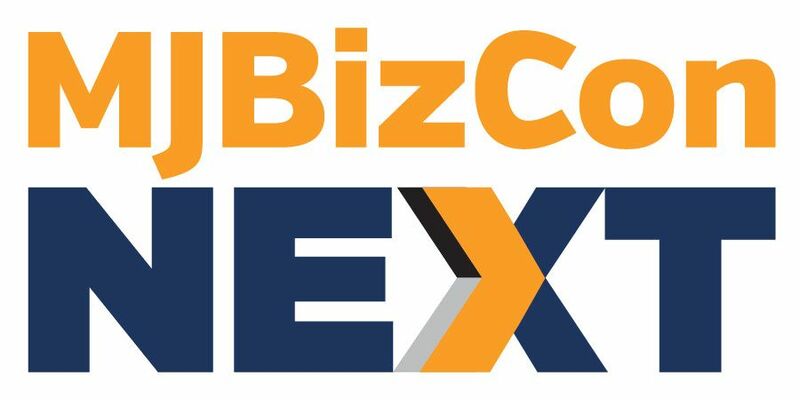 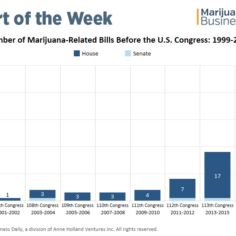 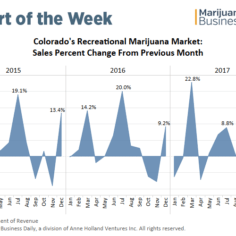 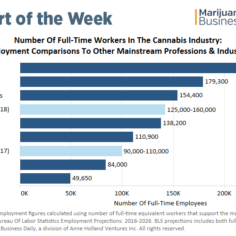 The U.S cannabis industry could pump nearly $80 billion on an annual basis into the county’s economy by 2022, a staggering figure that highlights the true reach of the marijuana industry.